MP Stewart Jackson was confronted by leading broadcaster Jon Snow during an interview on tax credit changes last night (Tuesday, October 27). 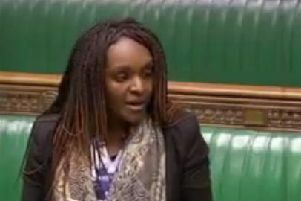 The Channel 4 host repeatedly pushed Mr Jackson on the issue with the Peterborough MP using the interview to attack Labour’s employment record and to promise he will lobby Chancellor George Osborne to offset some of the changes. Mr Snow claimed at the start of the interview that 76 per cent of all the children in the Peterborough constituency will be adversely affected by the changes. The issue flared up on Monday evening when the House of Lords, the upper chamber in Parliament, voted against the £4.4 billion cut from tax credits which had been passed by the House of Commons where Mr Jackson sits. Mr Jackson also clashed with Baroness Angela Smith, Labour’s Leader in the House of Lords, who was also being interviewed by Mr Snow. The pair then started to interrupt each other, with Mr Snow claiming Mr Jackson had not answered his question and Mr Jackson asking the host to let him finish his point. Mr Jackson went on to say: “One of the representations I have made directly to the Chancellor is that the transitional arrangements he brings forward on the Autumn Statement in three weeks’ time should soften the most harsh effects on a group of people who are in work. Mr Jackson replied: “I am committed to looking after the interests of all my constituents including the working people on low wages. I’ve championed the National Living Wage which is a fantastic policy. “I believe that we were right to change the tax allowances and bring in extra childcare help. Commenting after the interview, Mr Jackson said he believes the Chancellor will now lessen the impact on his constituents from the changes.